Wishing all my readers a very Happy & Safe Diwali. 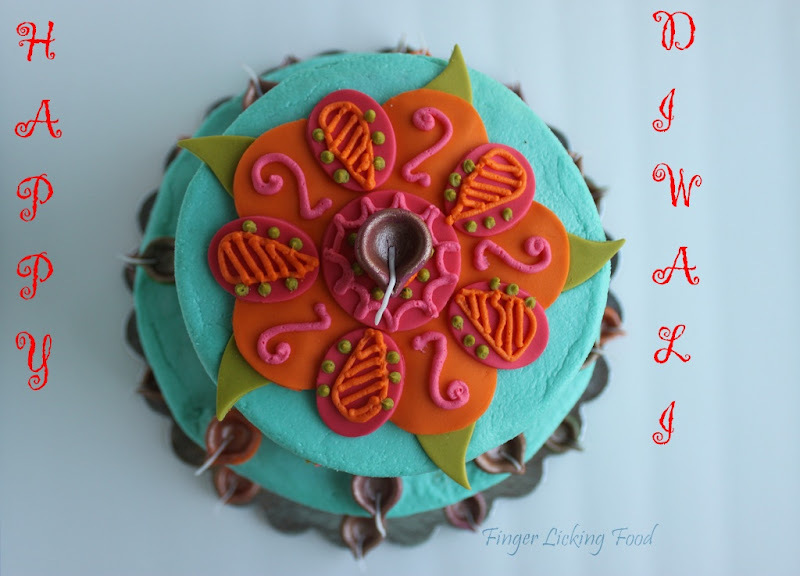 This year too I am taking a Diwali themed cake to a potluck party at a friend's place. Diwali is a time of lights, colors, family, friends and fun. 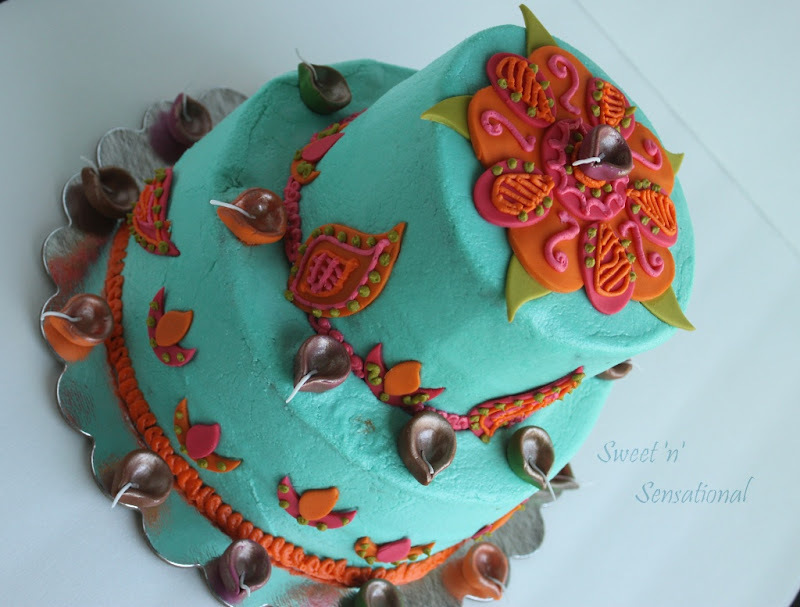 This cake is to depict all the fun and festiveness of Diwali. It's two tiered Strawberry cake with vanilla frosting. 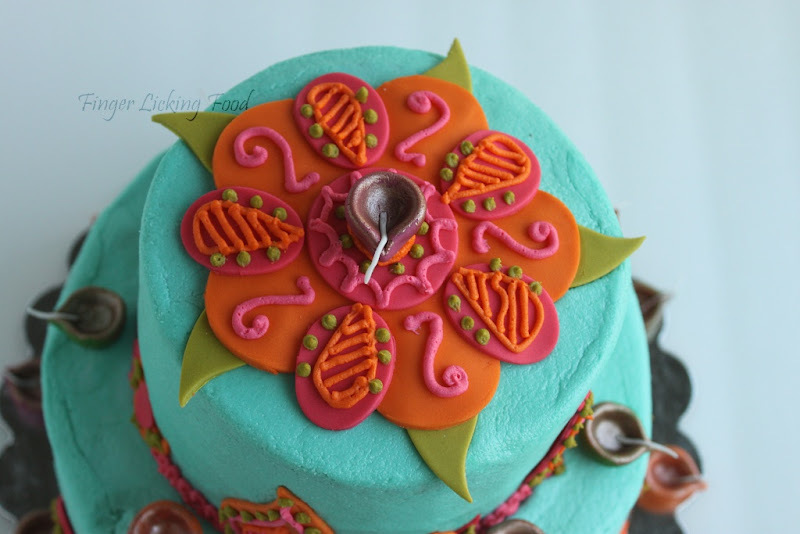 The decorations are Fondant cutouts with buttercream designs. The diyas (lamps) are all hand-made and are completely edible. A beautiful colorful cake. really nice. Beautiful. Lady, you are beyond talented :D Happy Diwali to you too! BTW what kind of frosting was it??? OMG! !, splendid.. You are truely talented Namratha. Beautiful cake!! Diwali wishes to you too!! Adorable! 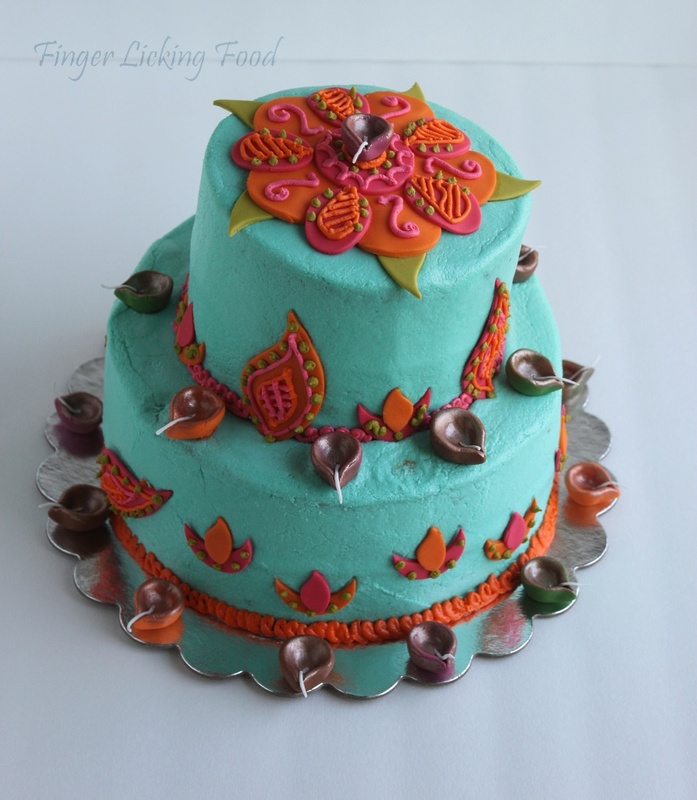 Love those fondant diyas. You truly are a talented cake decorator! Woww thats a gorgeous looking cake..
Georgeous cake..lovely..love those cute diyas. Thats Superb.....Were U feeling like cutting it ?? Adding one more follower for U..
that cake looks so beautiful! !you took so much effort!! OMG Nams! this is mind blowing ya!! AWESOME!!!! !